KTM has finally launched the Duke 125 in India which we have seen being tested a couple of times already. The Duke 125 is the entry-level motorcycle that KTM now offers in India and it is positioned below the Duke 200 which is already on sale. The motorcycle is powered by a new 125 cc, single cylinder engine which produces an impressive amount of power and torque figures and is paired to a 6-speed gearbox. The Duke 125 will surely attract the attention of those who want a premium performance oriented motorcycle for their daily commute. That said, let us get straight into the comparison review of the KTM Duke 125 versus the bigger Duke 200. We will be comparing both the motorcycles on the basis of their styling, engine and performance and pricing. 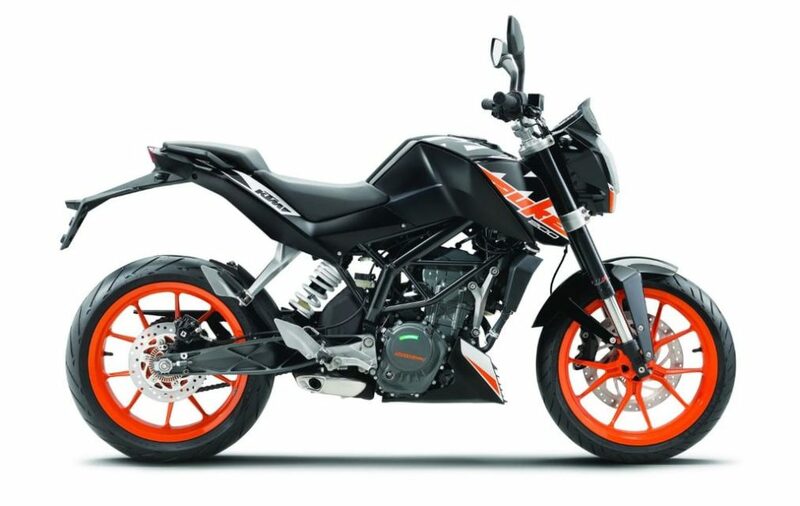 This is actually a big letdown while we all expected KTM to launch the International spec Duke 125 in India which gets its styling inspiration from the new Duke 390 instead KTM decides to bring the Duke 125 which looks identical to the Duke 200. Now we can understand this step has been taken to keep the pricing of the motorcycle down but we would all definitely would have loved to see the International spec Duke 125 in India which gets some high-end features like all LED headlamps and TFT instrument console with Smartphone connectivity. The Duke 125 shares almost all its parts with the Duke 200. What has changed though in the motorcycle is the engine. The rest of the motorcycle remains identical to the Duke 200 which is already available for sale. The Duke 125 gets the same headlamps, instrument cluster, seats and also the wheels. However, when it comes to features the Duke 125 is the most loaded 125 cc motorcycle of its segment. It gets a trellis frame, 43mm USD fork and an adjustable monoshock suspension setup as standard. The only thing which helps to differentiate the Duke 125 from the Duke 200 is the redesigned graphics on the newly launched motorcycle. The Duke 125 is powered by a new 124.7cc, liquid-cooled, single-cylinder, DOHC motor which produces about 14.5 hp of peak power at 9,250rpm and 12 Nm of torque at 8,000rpm. The engine is paired to a 6-speed gearbox. The Duke 125 is definitely the most powerful 125 cc motorcycle that has been launched in India. The newly introduced motorcycle tips the kerb weight of 148 kilograms and has a top speed of 120 km/h mark. The Duke 200, on the other hand, is powered by a bigger 199.5 cc, liquid-cooled, fuel injected, single-cylinder engine. This engine produces a maximum power output of 25 bhp at 10,000rpm and a peak torque output of 19.20 Nm at 8,000rpm. The engine too is paired to a 6-speed gearbox. The motorcycle just like its rival weighs exactly 148 kilograms and can reach a top speed of around 135 km/h mark. If we compare both the motorcycle in terms of performance then the Duke 200 with its bigger displacement generates more power and torque output than the Duke 125. The Duke 200 also has more top speed as well compared to the smaller 125. Both the motorcycle uses a single 300 mm disc towards the front and a 230 mm single disc brake towards for their rear wheels. Both the Duke 125 and 200 are offered with ABS for the safety of the rider. In fact, the Duke 125 is the only 125 cc motorcycle to get ABS (single channel) in India. 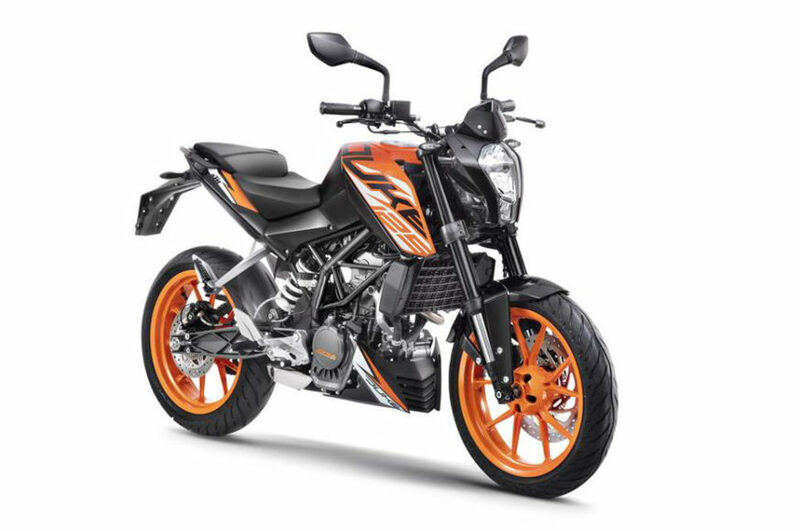 KTM has launched the Duke 125 in India priced at Rs. 1.18 lakh (ex-showroom, Delhi) the Duke 200, on the other hand, is priced at Rs. 1.60 lakh (ex-showroom, Delhi). The Duke 125 is the cheapest KTM bike that you can buy in India right now while on the other hand it also happens to be the most expensive 125 cc motorcycle that is launched in India. 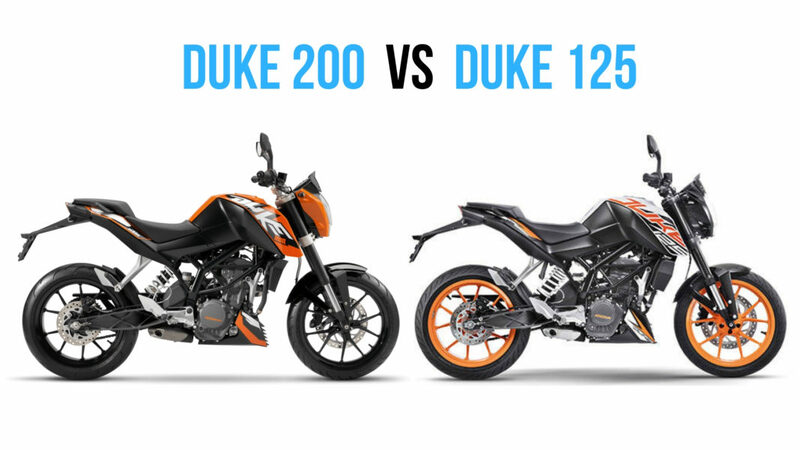 When we compare the Duke 125 prices with that of the 200 then the most affordable Duke is almost Rs. 42 thousand cheaper (ex-showroom price) than the bigger Duke. If we compare both the motorcycle in terms of their appearance then there is absolutely no visual difference between these motorcycles except the sticker work. When we compare the Duke 125 with 200 in terms of power and performance then obviously the more powerful Duke 200 stays ahead of its rival in power output as well as top speed. The recently launched Duke 125 surely is a performance oriented 125 cc motorcycle that has been offered by KTM. It will help fulfil the wish of those who wanted to get their hands on the Duke 200 for a long time but could not until now because of its steep pricing. The motorcycle looks almost same and also offers ABS, there is also enough power on tap and definitely will also be one of the best handling motorcycles on the Indian street keeping in mind that it uses the same platform as the Duke 200 and shares rest of its hardware with the other motorcycle as well.